What Does it Cost to Paint Outside of My Home in Denver CO. 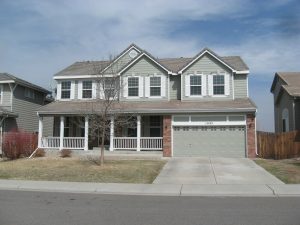 Many homeowners may not know what does it cost to paint the outside of a home in Denver Colorado. Either being first time homeowners, or new to the area. Or never having to hire a painting company to tackle one of the biggest jobs protecting the exterior. Dollar for dollar, exterior painting is one of the best means to enhance, update, and personalize, while enjoying a new look. In this article, we will go over several different factors calculating an outside painting cost for your home. Knowing time is valuable, and if you wish to cut to the chase, getting a cost to paint the outside or your home, than continuing with article, look no further! See Denver Paint Contractor, Eco Paint, Inc. Proudly serving Denver, Boulder, Aurora, and Colorado Springs, having nearly 40 years experience. Click Here to fill out a no obligation house paint cost request! Or Call (303)591-4978 or (720)409-1984 Today! Contacting a reputable paint contractor, asking the processes to 'paint the outside of my home' is on the first agenda. Locating an experienced, and reputable painting contractor who does this day in and day out, having positive references will help insure a stress-free and quality experience. Many ways of finding these companies include word of mouth, advertisements, online web search, local Chamber of Commerce, and the Better Business Bureau. Knowing the job to paint the outside of your home is not near as easy as it looks, and should be left to the professionals, saving time and money. Paint estimates usually include calculating floor square foot or wall square footage, both should be consistent in contractor's price estimates. We calculate both ways, double checking ourselves, making sure we are not over estimating, nor leaving too much on the table for a superior quality job that will last for years to come. Typically 2 areas of major concern estimating exterior painting which are walls, and trim. Generally speaking, it is least expensive painting both all at one time, than individually, as set-up and preparations are concerned. Sometimes a painting contractor can make special arrangements coming back if an advance agreement and notice is given, however this is on an individual basis. There are many other specialty tasks a full fledged painting contractor should be able to complete while performing an exterior painting job. They include power washing, scraping, priming, caulking, and any siding wood repairs associated , completing such exterior painting jobs. This is important to know so that multiple contractors are not required, when in fact all of these special repairs listed, should be able to be done by a competent and seasoned painting contractor. Some call themselves painting contractors, but only paint and nothing else. Paint prices vary and so when a painting contractor is determining an interior painting estimate, this information needs to be disclosed when painting contractor is calculating estimate. Typically Life-Time warranty paints cost twice as much as standard 15-25 year warranty exterior paints. Sherwin-Williams™ has a 15 year warranty called A100. Sherwin-Williams™ also has it's 25year Super Paint which is priced very close to the same, thereby making little to no difference in this upgrade. completing a such exterior painting jobs. Any special paint finishes too, add to the bottom line in determining an exterior painting job. These special finishes include Elastomeric coatings, designed for Eifs and Stucco, and special epoxies and deck stains and finishes. Ordinarily all premium exterior paints are a 100% Acrylic Latex with a 100% solid base, giving lasting beauty and protection. This area is the last, when getting an exterior painting estimate, but must include the following. Most reputable painting contractors are all within the same price range. However, there are some who are actually "Hobo Painters", calling themselves painters, but can do the same job in half the price, not having proper tools of the trade, as to taking ten times as long, being on your property all summer long. Paint contractor having proper credentials running an operation is always a plus, and safeguards you from any mishaps, mistakes, or accidents. This puts homeowner at risk, if something were to happen, not having proper credentials, and insurance documentation. So having proper credentials does add to the bottom line cost to the cost of outside painting, but also protects the consumer in the long run. Hope this article is helpful with your exterior painting needs, figuring out what an outside or exterior painting job will essentially cost. This article is based on painting industry standards, and what is attributed making such exterior painting costs estimates in Colorado. Protect Today, enjoy for years to come! Exterior Painting Tips in Denver - Eco Paint, Inc. Exterior House Painting in Denver - Eco Paint, Inc. 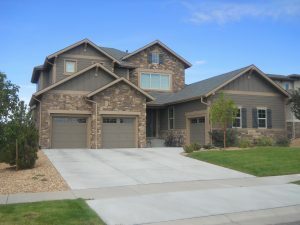 Exterior Painting in Denver Colorado - Eco Paint, Inc.